In the world of retail, the holiday season is where you do anywhere from 20-40% of your annual sales, which means that you need to start early to deck your store out for the holidays! Every year, retailers are looking for new, innovative, and eye-catching ways to break the mold and stand out among the glitter and glitz of the competition’s retail signage. The best way to do that is to focus on color, creativity, and your brand message, and that means working with an experienced sign company to help you bring your vison to life. Make Your Windows Work for You: Every store has windows, so why not use them to your advantage? Even if there are building restrictions against directly decorating the glass of windows, you can still use them to set-up signs behind the glass that get noticed by those passing by. Use bright, bold, holiday colors in your signs and keep your window signs simple—an easy to read sign with a direct message is much more likely to draw new customers into your store. Focus on Providing Direction: Christmas shopping might be something that many people look forward to every year, but the chaos of a busy store can take away from the joy of the shopping experience. 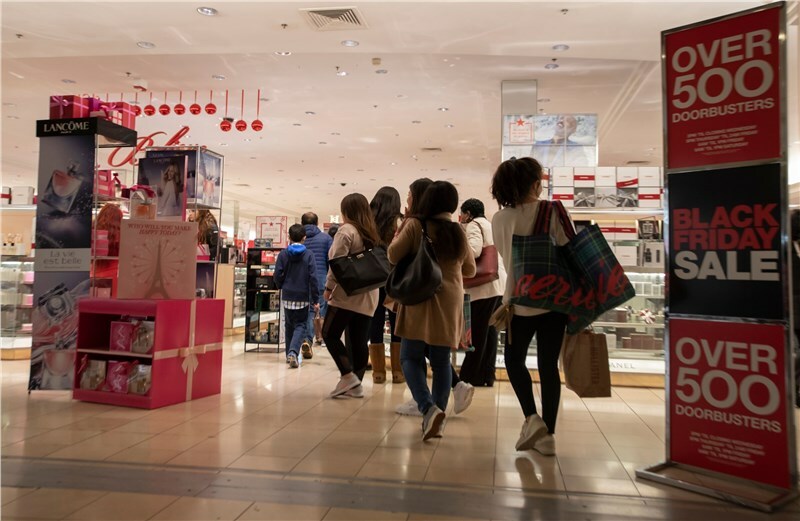 Give your customers a helping hand and keep order during the peak holiday season by focusing on directional signage that points to key displays, popular items, and other heavily trafficked areas. Embrace a “Bigger is Better” Mentality: When it comes to holiday decorations and signage, you want to play on the bright boldness of the season—not hide from it. The more festive and beautiful your store is—and the easier it is to navigate—the more your customers will be in the holiday spirit. This means an uptick in sales for you and a lot of new, happy customers. Keep Your Brand in Mind—with a Creative Twist: One thing that you do have to keep in mind when it comes to holiday retail signage is making sure that your brand is still prominent and not lost in the glitter of the season. Incorporate your brand into your signage using familiar fonts and colors so that your customers recognize it as soon as they see your beautiful holiday signs. Ensure that Your Current Signage is in Good Shape: Most businesses create new retail signs for the holiday season, but if you are reusing old signage, you need to make sure that it is still in perfect condition. If storage or heavy use has made your sign less than appealing, hiring a company for sign repair is a must—just make sure that you do it well in advance to beat the rush before the holiday season hits in full force! At Golden Gate Sign Company, we are the one-stop resource for sign repair, fabrication, and installation, and we can help you create the custom signs you need to stand out in the last stretch of the year. Give us a call today to learn more about the products and services that we offer, or fill out our online form now to request a free quote and consultation for your retail signs.